The Adafruit Metro M4, Adafruit ItsyBitsy M4, and Adafruit Feather M4 are each based on the ATSAMD51 ARM Cortex M4 microcontroller running at 120 MHz, but with different physical form factors. Each board provides 512 KB flash and 192 KB RAM. The boards also include a separate 2 MB SPI DataFlash chip which is used by uLisp to allow you to save the Lisp image using (save-image). These are currently recommended as the fastest platforms supporting uLisp. For example, the Arduino Zero runs the Tak benchmark in 10 secs, and the Adafruit ItsyBitsy takes 4.1 secs; see Performance. Install the ARM version of uLisp for use with these boards. 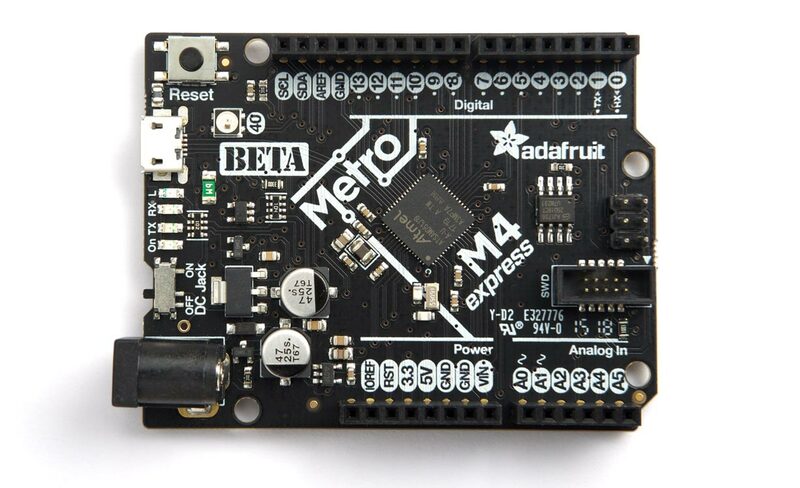 The Adafruit Metro M4 is the same size as the original Arduino Uno, and so can take a range of Arduino shields. 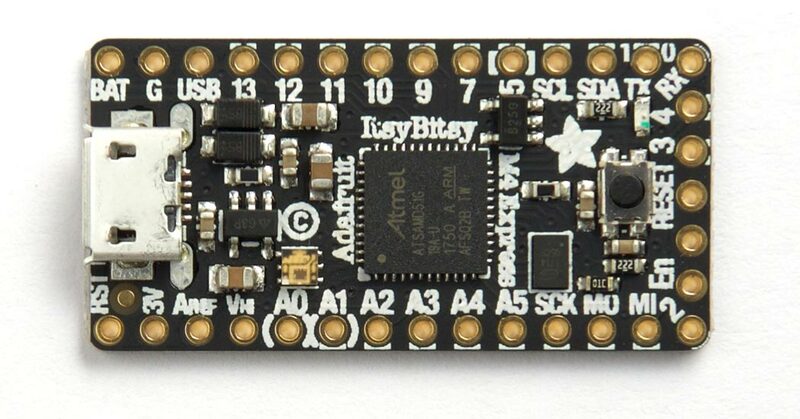 The Adafruit ItsyBitsy M4 is the smallest of the three boards, the same size as Adafruit's other ItsyBitsy boards. The Adafruit ItsyBitsy M4 has a DotStar (APA102) RGB LED mounted on the board. For more information about DotStar LEDs see Driving DotStar RGB LEDs. The Adafruit Feather M4 is the same size as Adafruit's Feather range of boards, with its own family of matching shields. Although I haven't had a chance to test one of these, it should be identical in behaviour to the Arduino Metro M4.